I don’t often write about beer on the blog, which is actually quite surprising considering how often I drink the stuff. In case you have ever imagined me at home sniffing, slurping and then quaffing from perilously high Riedel glasses, let me dispel that image for you right away. I’m a wine girl who drinks beer to relax. By relax, I mean drinking something I enjoy without having to contemplate its balance of acidity or decide if it displays a chalky or limestone sort of minerality. I want to drink something that tastes better than water and yet doesn’t demand too much of my taste buds. The thing is, most of the time, I don’t want to share these moments online. I might just have ordered un demi in Paris and be listening to my friend recount her day. It’s not worth clicking “Publish” for these kinds of thing. However, when there’s a story behind it and a person who made that drink, that’s when things change. I want to share that. Today I’m focussing on Anchor Steam beer, from the Anchor Brewing Company in San Francisco, USA. Steam Beer basically means using bottom-fermenting lager yeasts (saccharomyces pastorianus) at a warmer-than-normal temperature, then leaving the brew to cool on a rooftop in the open air, thereby generating steam. In fact, the temperature at which they brew Anchor Steam beer is very similar to the temperature at which you would brew an ale (using the special top-cropping ‘ale yeast’ saccharomyces cerevisiae.) Anyway, this is getting rather geeky… What it means is that you end up with a very distinctive flavour profile – a beer which has the characteristics of both an ale and a lager. Anchor Brewing trademarked the term “steam beer” in 1981. History buffs might be interested to know that this type of beer was first brewed in 1896 and the first modern bottling was in 1971. It can also be referred to as a Californian Common Beer. The reason why this is one of my favourite go-to beers is because it is just very pleasant. At only 4.8% ABV, I can drink a bottle and still get to the end of this blog post with only relatively few spelling mistakes. In terms of taste, it’s rounded, very balanced, lots of barley malt sweetness and thoroughly drinkable. It doesn’t have the bitterness that people often associate with trendy pale ales or IPAs; nor does it have the blandness of a classic English ale. Showing loads of toasted, malted, bready notes, it is not complex but nor does it taste weak or diluted as lagers sometimes tend to. In short, relaxation. “This beer is a great pairing with mozzarella,” states Riccardo confidently. I look back at him in confusion. Since when has anything paired well with mozzarella? “Runa” – the brewery’s mainstay beer. I have always believed that it is nigh-on impossible to find a good wine pairings for high-cream cheeses, like mozzarella, burrata or Brillat-Savarin. Washed-rind cheeses, such as Époisses or Munster, are not much better but can have the edge taken off with a beer. Didn’t destiny decide that mozzarella’s life partners were to be a ripe tomato, a glug of olive oil and maybe a scattering of basil? It was actually Jean van Roy (aka Mr Cantillon himself) who introduced me to Riccardo Franzosi during the Arrogant Sour Beer Festival in Parma last May. .. a quick visit which turned into practically the whole day! I lost count of the hours I spent in Riccardo’s kitchen; he was such fantastic company. We talked about Bruce Springsteen, the English Civil War and the battle of Waterloo. We made several trips to the cellar to pick up more beers. He’s a home-brewer who, despite considerable pressure to stay in the family business, turned professional. The brewery is a decent-sized, converted warehouse, just over the road from Riccardo’s house. Nowadays, he works with his brother and they make a total of around 30 beers, but many of them are highly seasonal. It seems that they make a couple of base beers (Runa and Demon Hunter) from which they will experiment with new variations. e.g. Magiuster made using fragole di Tortona and Garbagnina using Bella di Garbagna cherries. They mainly use German hops for bittering… but there is an English style Strong Ale with East Kent Goldings and an APA made with Cascade, Amarillo and Chinook. They use a local water source. 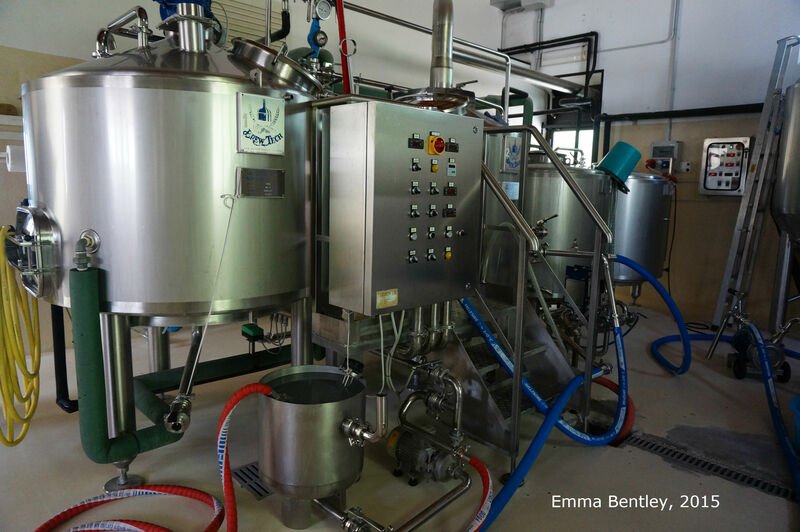 For Riccardo, this is very important as he is convinced this provides a sense of terroir for the beer… a idea that many in the wine world are quick to dismiss. The Montegioco Brewery opened in 2005. I felt incredibly honoured that Riccardo chose to open one of his very last bottles of La Mummia 2006. It’s a lambic beer aged in what were previously Barbera barrels from Walter Massa and then bottled in 2008. I don’t think there was anything available that I didn’t taste. 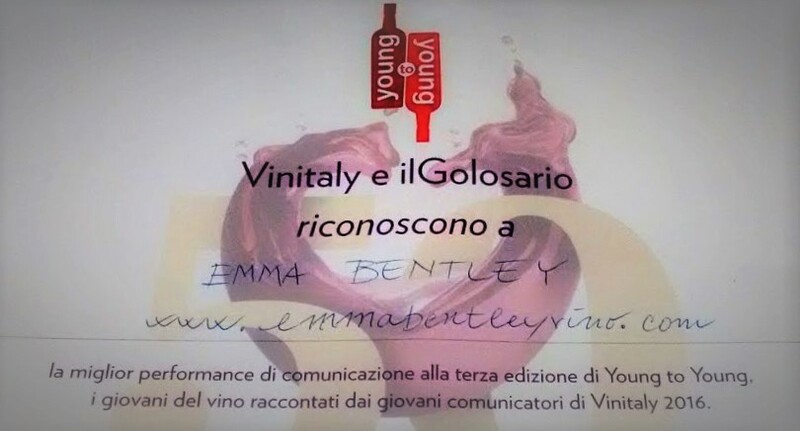 I tried the whole gamut from his basic blonde “Runa”, to an American Pale Ale, a doppio malto, a barley wine… and even his own sparkling wine from early-harvest Timorasso grapes! All at the same time, Riccardo was feeding me local specialities; “I don’t like to cook but I like to play in the kitchen,” he claims modestly. It is during this part of the conversation that he makes his bold food pairing suggestions. goat cheese encapsulated in beeswax – a local delicacy! 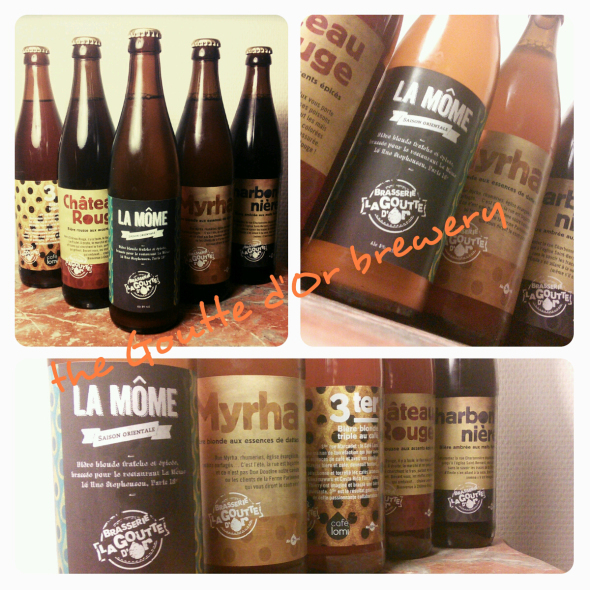 Back in Paris, I invite a few friends to come taste these beers and give their feedback on the possible pairings. My favourite pairing was with Riccardo’s Mac Runa beer. (Bottle of 33cl, weighing in at 6.6% ABV, Lot Number 18/15.) The malted barley has also been peated, which gives the beer a delicious, smokey twang, much like a whisky from Islay. The name Mac is a tip of the hat to its Scottish inspiration. Not filtered, not pasteurised, re-fermentation in the bottle over a four month period; I really liked this beer. The peat is very present on the nose and again at the end, where it lightens what otherwise might have been a heavy finish. On the mid-palate, I picked up notes of caramel, honey and, later, pepper. The peat does not over-dominate. Bernardo rightly suggests that this would make a delicious pairing for our smoked mozzarella. Boy, he was not wrong. It was a match made in heaven! My “usual” was once a Malibu and Coke. There wasn’t much else on offer. Archers and Lemonade, maybe. Vodka, Lime and Lemonade. Made with Poliakov. It was extra if you wanted Smirnoff. The wines available at the pub were so non-descript I can barely remember what they were. Pinot Grigio, Chardonnay, Merlot, Cabernet… I think. The lagers were Kangeroo-Piss, Wife-Beater and Numbers (the more common terms for Fosters, Stella and Kronenbourg, in case pub-lingo has moved on from those days.) On pump were Greene King IPA, Brakespeare, Hobgoblin and London Pride. Hardly inspiring either. While he was working, my boss would have a constant stream of “alf-a-lager, babe.” Once the kitchen had closed, he would move onto red wine and coke – yep, in the same glass, and no, he was actually Italian! – or a triple vodka straight and a 1000mg paracetamol – this time not in the same glass. How I ended up in this industry, given that this is how I started out, will remain a mystery! Today, I’ve taken a whole lot of pale ales that I’ve particularly enjoyed recently and chosen just six of them… just in case you ever see any of them in your local pub or retailer. It’s impossible to talk about Pale Ales without first paying hommage to the SIERRA NEVADA (USA) Pale Ale (5.6%, 37 IBU) with its beautiful deep tangerine orange colour and the balance of the rather feminine aromas with the distinctly masculine structure of the spicy malt. Damn, you’ve got to admit it – Brewdog gives great head. A beautiful thick mousse extends over the top of my glass. This beer is full, round, toasty. Despite containing a full-day’s worth of west-coast hops, there’s a warming gentle spice which makes it great to drink on a cold, rainy afternoon. Huge citrus flavours – lemon, tangerine, grapefruit – with tropical fruit notes too. Bang. Hits a homerun straight out from the get-go. It was a winner with the tasting group. It’s short, though. Definitely lacking length. The thin mousse fades quickly revealing a deep brassy gold colour. On the nose, it’s fresh, light, inticing. Hoppy and hay barn. Biscuit in the mouth mouth. Not bitter but not sweet. Lovely balance. Drinks like water. Good English beer. Not my favourite beer from Innis & Gunn but it deserves a place in this list as it’s one of the best beers I’ve bought from Tesco. Bright toffee colour. The nose is very mild – some hints of oak and malt. The European hops are clean on the palate and not overly present. It’s a very easy drinking beer, that I think even my mother might find acceptable. Sheez, it’s 5.8% ABV?? That’s gotta be a typo. For the purpose of writing this blog post, I opened both the Mosaic and the Chinook Amarillo Apollo which I bought on a recent trip to the brewery. Everything that I’ve tasted from these guys, I positively love, but in this case, the Mosaic just had the edge over its little brother. It hits the sweet spot in between clean, fresh and creamy. Citrus and pine forest. There’s only a little carbonation. The finish is bitter. So bitter, in fact, that you’re obliged to take another sip. Delicious! Fans of craft beers and local produce should definitely pay a visit to this little brasserie tucked away in the Goutte d’Or, the heart of the 18th arrondissement. Fed up with brewing in the kitchen for his friends, Thierry Roche opened up a bricks and mortar place in 2012. At that time, it was the only beer brewery in central Paris. Although it may not be immediately apparent, the location actually couldn’t be more fitting. You see, the area is known as la Goutte d’Or (or “Drop of Gold” in English) and the name originates from the distinctly rich coloured wine that used to be made right here until the end of the 19th century. (See here for more on that.) The fact that there is once again a booze producer in the quartier making a golden nectar seems a rather appropriate turn full circle.